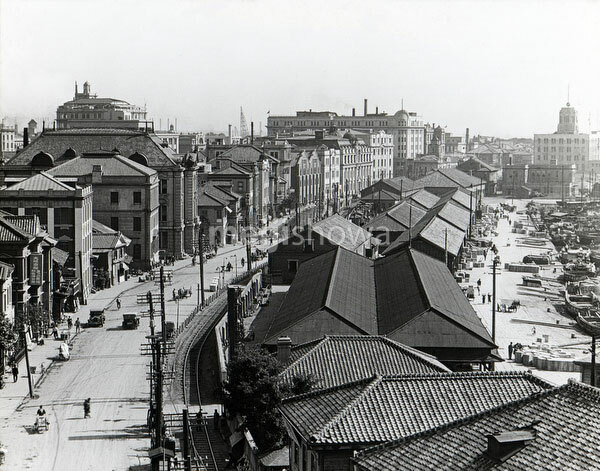 A view on Kobe’s Kaigandori, known among foreigners as the Bund, in 1930 (Showa 5). It was lined with the offices of steamship companies and trading houses, as well as warehouses. See blog entry.